Avengers: Infinity War showcased the mightiest Marvel villain until now in the form of the Mad Titan Thanos. 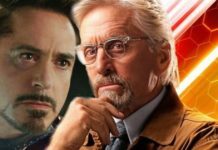 He is a renowned villain in the Marvel Comics Universe and has been around in the shadows for several films before finally appearing in this latest movie. After wielding his Infinity Gauntlet, he went on to cause unprecedented turmoil on Earth and elsewhere. 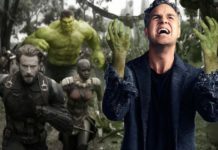 No doubt Thanos established his stature as the mightiest villain in Marvel Cinematic Universe, but, when it comes to comic books, there is a number of mighty characters who can easily overpower and even kill Thanos. 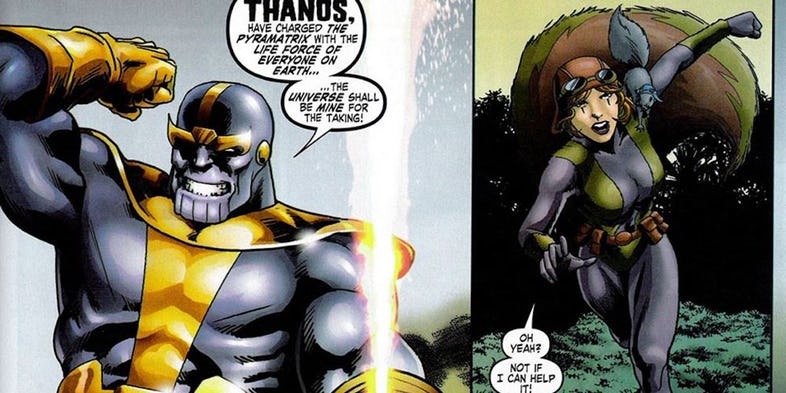 In this list, we introduce you to some of such mighty heroes who would be invincible against a Thanos without his Infinity Gauntlet. Matthew Malloy debuted in Uncanny X-Men Vol. 3 #23, and Charles Xavier had called him as “the largest mutant power source Cerebro has ever registered.” He has powers such as matter manipulation, telepathy, telekinesis and even teleportation. In the Uncanny X-Men series, Maria Hill destroyed him with an energy blast, only to see him resurrect himself and defeat Hill and others. Malloy even destroyed the X-Men easily. He can warp reality and is beyond the powers of even mystical beings such as Magik and Doctor Strange. The only way to defeat him was by the heroes going back in time and destroy him by undoing the union of his parents. Thanos has no chance against Malloy who can survive even the destruction of the entire universe. In the comic books, she has beaten Doctor Doom, Wolverine, and even Thanos. Despite being one of the weirdest Marvel characters, she has become quite popular, and Marvel TV has even created a show about her which will debut on Freeform this year. 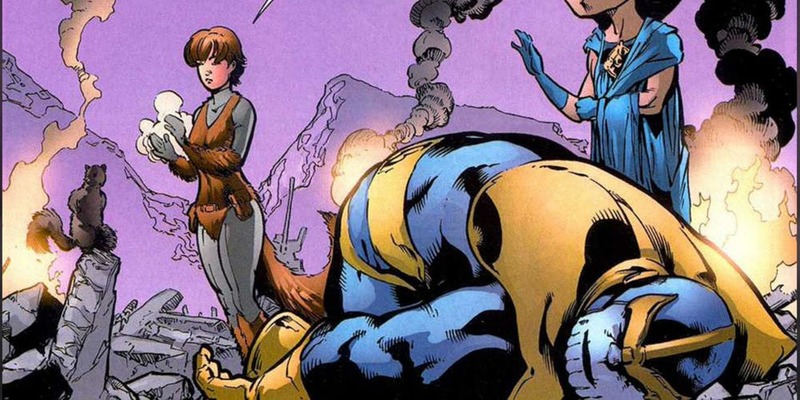 The biggest achievement of Squirrel Girl is beating Thanos all by herself, and also overpowering Galactus with empathy and compassion. In the comic book Unbeatable Squirrel Girl #4, she convinced Galactus not to eat Earth and saved the whole planet from getting destroyed. As is her name, she can talk to squirrels and uses the rodents to create her strategies. Thanos is a weakling against her. The Living Tribunal is the mightiest Marvel character after the One Above All. He is beyond the multiverse, and his responsibility is to maintain the cosmic balance. He is nearly omnipotent, and Thanos won’t even stand a chance to meet the gaze of this guy before perishing. 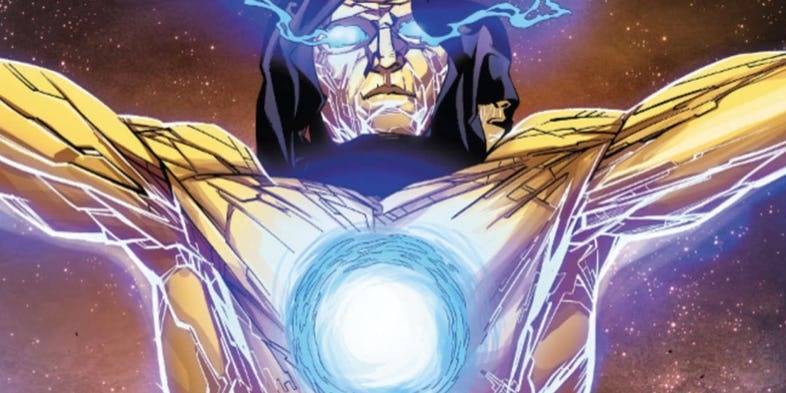 Even with the Infinity Gauntlet, Thanos can’t win against the Living Tribunal as already proven in the Infinity Gauntlet series. 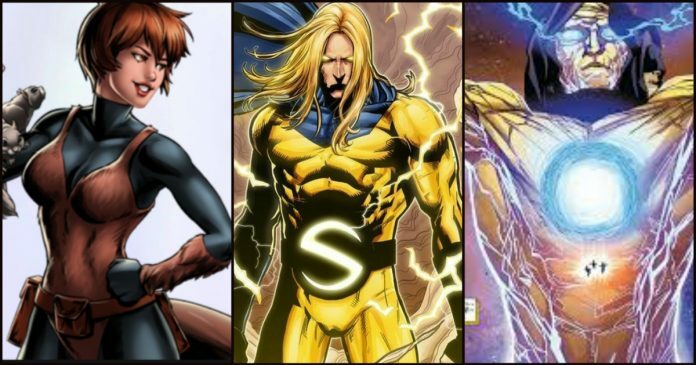 After Adam Warlock brought together the mightiest cosmic forces from Earth – 616 to kill Thanos, he asked the Living Tribunal to help him, but, he refused, believing that Thanos would restore the universe’s balance. If he had helped Warlock, the battle between Thanos and the heroes from Earth would have ended swiftly. She is the death incarnate in the Marvel Universe and is renowned in the comic books for her love affairs with Thanos and Deadpool. Mistress Death is almost almighty and can revive sick people, just like she did with Thanos in Thanos Quest series. 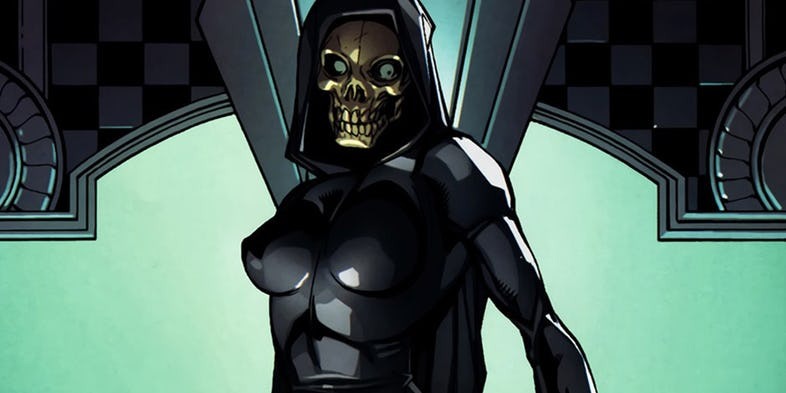 Without his Infinity Gauntlet, Thanos wouldn’t be able to challenge Mistress Death, because she could kill him at will. Apart from her powers, she has the infinite universal knowledge, which makes her one of the most knowledgeable beings in the Marvel Universe. Despite her incredible powers, Beyonder had defeated her once, but, Thanos has no chance against an enraged Mistress Death. The mutant offspring of Mr. Fantastic and Invisible Woman has such incredible powers that once he created his pocket universe. A large number of fans consider him to be the mightiest mutant in Marvel Universe. Apart from reality warping and cosmic powers, Richards also has immortality. The joint powers of Richards and Molecule Man enabled Mr. Fantastic to rebuild the Marvel Universe after the Secret Wars (2015). Thanos won’t have any chance because Richards might make him vanish by a mere thought. Richards is powerful enough that he was rated beyond Omega levels by even the Celestials. He has also beaten two of them, and the only way Thanos could overpower Franklin Richards is by wielding a fully powered Infinity Gauntlet. As stated above, he is almost omnipotent and has powers beyond comprehension. He is beyond the Multiverse, and the Earth’s heroes met him only after Owen Reese became the Molecule Man. After keeping an eye on Earth from a distance for a while, he decided to interfere and created the first Secret Wars by picking up the best heroes and villains from Earth and making them battle each other in Battleworld. 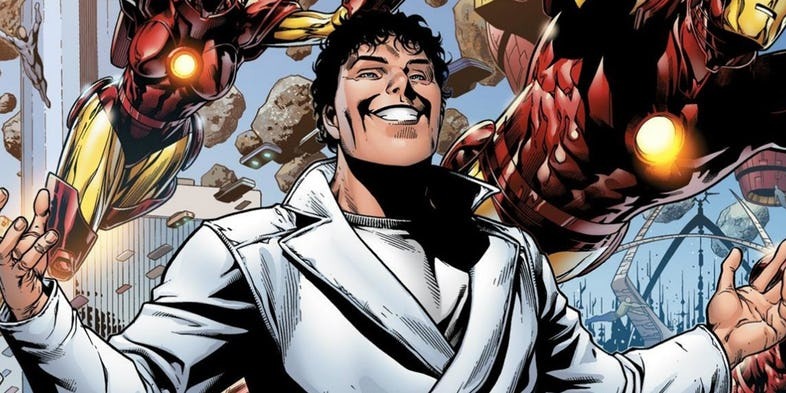 The Beyonder was later retconned to a lesser being originating from the Cosmic Cube, and all of his extradimensional achievements were rebooted as illusions created by his mind. 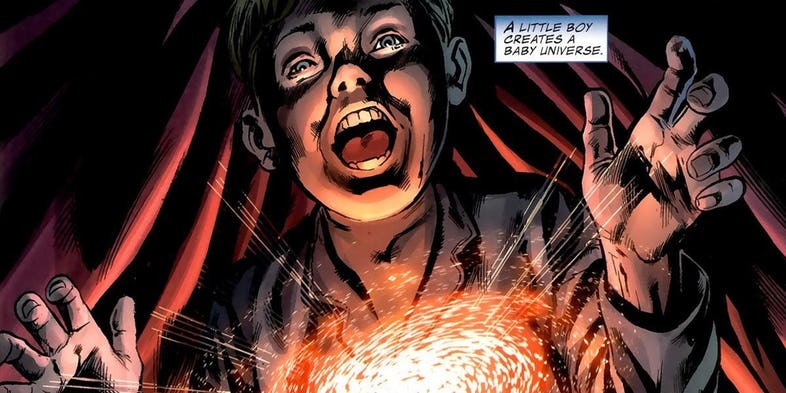 Later it was revealed that Beyonder was an Inhuman by birth instead of originating from the Cosmic Cube. No matter what, any Beyonder version can beat Thanos in a flash without the Infinity Gauntlet. Robert Reynolds aka Sentry is basically the Marvel version of Superman. He has superhuman strength, speed, and endurance, as well as the power to manipulate light and to become shapeless as well as other powers. 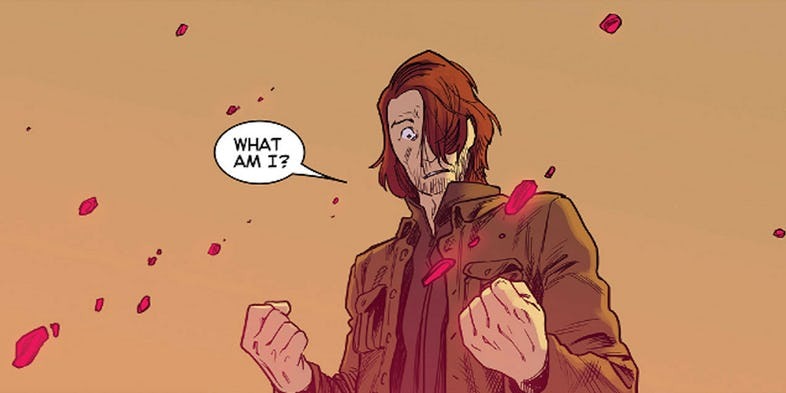 After becoming Sentry, Reynolds risks letting the Void, the physical shape of his “dark side” to re-emerge and cause destruction. 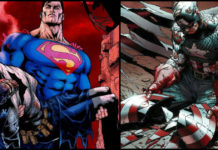 During the Seige series, the Void manifested over Sentry and murdered Ares, the God of War, by tearing him apart. After going back to Sentry form, he asked Thor to kill him, and Thor cremated him in the Sun. However, he didn’t die permanently. 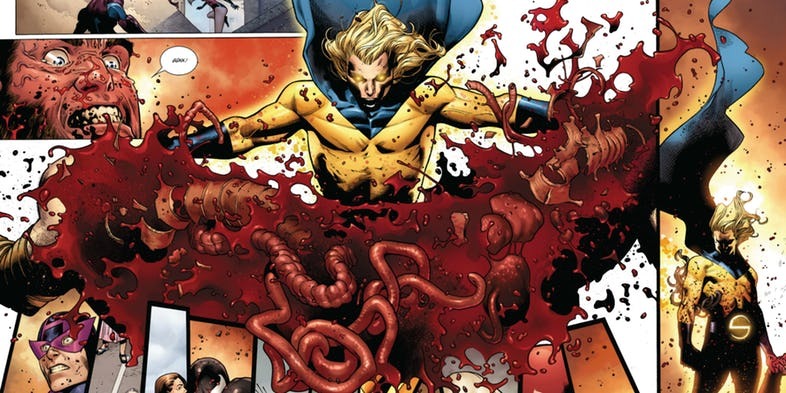 During Uncanny Avengers #9, it was discovered that Sentry remained inside the Sun, dying and regenerating repeatedly. In that comic book, he was also shown to have become the Horsemen of Death for the Apocalypse Twins. Considering Sentry’s powers, he would instantly tear Thanos in half in a confrontation.